It's Mother's Day and Dolly, a high school senior, is making a Mediterranean salad for her mom, who is a college chemistry major and who likes to take every opportunity to teach Dolly what she has learned in school. Today is no exception, as she guides Dolly through a chemistry lesson in the kitchen. 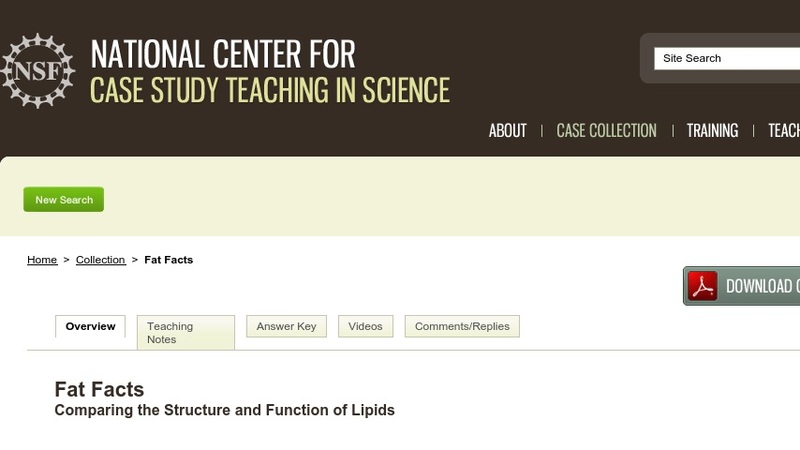 The case compares and contrasts the structures of various fatty acids, saturated with unsaturated, monounsaturated with polyunsaturated, and cis-conformation with trans-conformation. The melting point differences of saturated, monounsaturated, and polyunsaturated fatty acids also are explained as are the structures and functions of triacylglycerol, phospholipid, HDL cholesterol, LDL cholesterol, and omega-3 fatty acids. The case could be used in courses in general chemistry, organic chemistry, biochemistry, nutrition, biology, and food science.